After years of work by MoDOT, the Missouri Bicycle & Pedestrian Federation, the Adventure Cycling Association, and many local organizations and advocates along the route, Bicycle Route 66 in Missouri is now an official part of the U.S. National Bicycle Route System. "The U.S. Bike Route System in of itself is an important network for the travel & tourism industry as a whole," said Patrick Tuttle, Director of the Joplin Convention and Visitor Bureau and key supporter of the Bicycle Route 66 effort in Missouri. "For that network in Missouri, when adding in the value of historic Route 66, for cycling and tourism stakeholders alike, there is no question, we have to be involved." MoBikeFed's Queen City Century in Springfield on Saturday, June 16th will celebrate the new USBR 66, ride a portion of the route, and see some of the historic Route 66 highlights in Springfield. Missouri Life's BigBAM is riding Missouri Route 66 this year and the official ribbon-cutting for USBR 66 will be at the BigBam kickoff celebration in Joplin Sunday evening, June 17th. U.S. 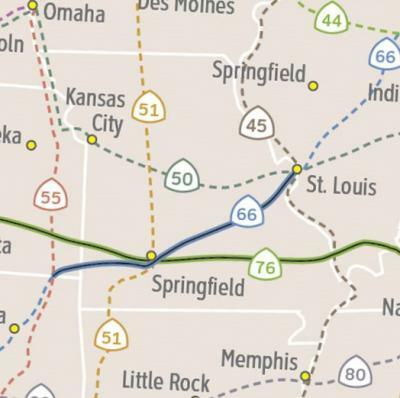 Bicycle Route 66 covers 345 miles across Missouri and 13 miles across the southeast corner of Kansas, connecting cyclists to Oklahoma and Illinois. It roughly parallels today’s I-44, which takes most motor vehicle traffic, leaving the historic Route 66 segments as relatively low-traffic side-roads that wander through the countryside, preserving traces of an American icon as it stood half a century ago. Cyclists on USBR 66 can visit historic Marsh Bridge, Riverton Store (in continuous operation since 1925), the Galena Mining Museum, Old Chain of Rocks Bridge across the Mississippi River, the Big Chief Roadhouse in Wildwood, the Route 66 Museum in Lebanon, the Uranus Fudge Factory and General Store, Route 66 parks in Springfield and Joplin, Route 66 State Park in Eureka, many period hotels, bridges, and original stretches of historic roadway, and the birthplace of Route 66 in Springfield. “We are so pleased to see this important historic route—already used by many bicyclists from across the world—officially adopted as part of the U.S. Bicycle Route System. We much appreciate the work of MoDOT and leaders of communities along the route who have worked hard for this day. Riding this route really gives a glimpse into the soul of the American heartland.” Brent Hugh, Executive Director, Missouri Bicycle & Pedestrian Federation. USBR 66 is important for the homage it pays to historic Route 66, but also because it intersects with other key bicycle touring routes, including the Mississippi River Trail, the Great Rivers South Bicycle Route, the Transamerica Trail (USBR 76), the Lewis and Clark Bicycle Touring Route, and USBR 51 connecting Missouri to Louisiana and Minnesota, currently under development. Additionally, with the designation of U.S. Bicycle Route 66 in Missouri and Kansas, interest has picked up in other states located along the historic road. 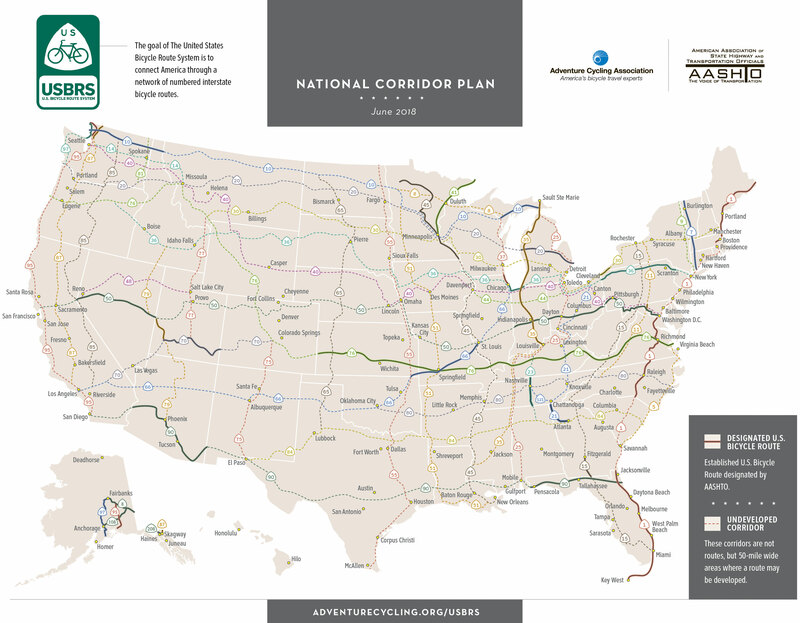 The connections with USBR 76 (TransAmerica Trail), USBR 50 (Louis & Clark Trail), USBR 45 (Mississippi River Trail), and the (planned!) USBR 51 are particularly exciting. USBR 76, 50, and 45 already exist as routes in some form. MoBikeFed is working with the Adventure Cycling Association and numerous local organizations to plan USBR 51, which will be a major new national bicycle route across Missouri. The intersection of these major national bicycle routes in Missouri makes the state a national bicycle tourism hub--a situation we as a state should be more aware of and take better advantage of. 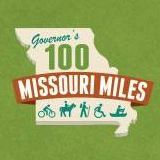 Working to make a world-class, safe, well-connected bicycle and pedestrian network across Missouri is one of the four primary goals of the Missouri Bicycle & Pedestrian Federation's Vision for Bicycling and Walking in Missouri. Working to develop and support major cross-state and national bicycle touring routes in Missouri, along with major cross-state and major regional trails is one way we achieve those goals.